We all have needs and wants in life, but we all know that there really are starving, uneducated, and naked children in Africa who also have needs and wants; more needs than wants. 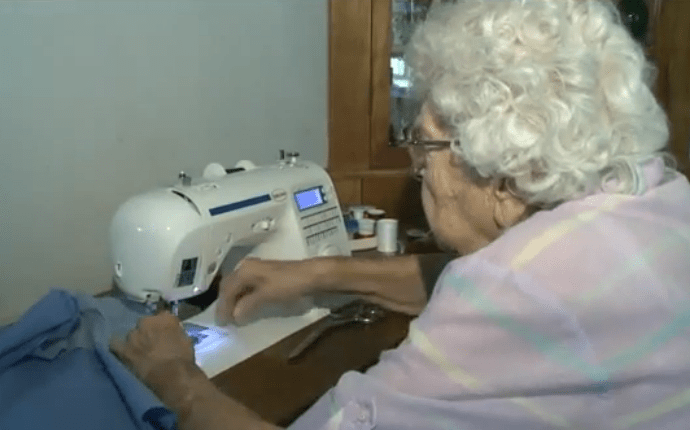 There is a 99-year old woman who sews dresses and clothes for the unclothed children of Africa out of the goodness of her heart. She, in all of her elderly wisdom, has put her own needs and wants aside for children she will never meet. This woman has done more by herself for these children than any other organization or charity. She is truly a mother for these children who are in desperate need of so much more than clothes and food. They need and want emotion bonds with a good nuclear family in a good nuclear home. They should be outside playing in their clothes rather than scavenging for food in them. Do you think this kind of selfless act benefits everyone and not just the children? Would you do something similar for these naked children in Africa? Let us know in the comments.